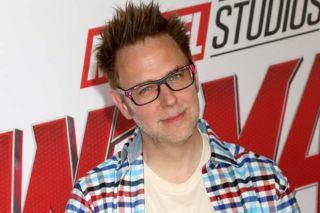 Writer/director James Gunn has tweeted out a statement following news that Walt Disney Studios and Marvel Studios have agreed to re-hire him following his July 2018 dismissal over offensive statements he had made. "I am tremendously grateful to every person out there who has supported me over the past few months. I am always learning and will continue to work at being the best human being I can be," Gunn tweeted. "I deeply appreciate Disney's decision and I am excited to continue making films that investigate the ties of love that bind us all. I have been, and continue to be incredibly humbled by your love and support. From the bottom of my heart, thank you. Love to you all." Karen Gillan, who plays Nebula, tweeted a simple message following news of Gunn's re-hiring: "We are Groot." Neither Disney nor Marvel have released a timetable for Guardians of the Galaxy Vol. 3. While it was initially intended to debut in May 2020 prior to Gunn's firing, Gunn has since signed on to direct Warner Bros.' "Suicide Squad" sequel, reportedly titled "The Suicide Squad." Deadline reports he will still direct the rival Warner Bros. feature currently scheduled for an August 6, 2021 release before returning to the Guardians franchise.